Outlook and Lotus Notes, both are one of the most popular mailing applications among users. But, if compare Outlook with Notes in terms of security then Notes mailing application developed by IBM has much more functions and facilities and these facilities makes the users messaging and email communication secure and safe. So, if your are also looking for tool that can help you to move your data of Outlook to Notes application then get the technically sound and one of the best in industry email migration tool Outlook to Notes software. Complete And Accurate Data Migration: In-order to manage different items, Outlook offers the facility of category. Using the category option, user creates multiple sub-folder or folder to keep the data of particular type like contacts, inbox, sent items, calendar, task & etc. When software convert data of Outlook to Notes then it ensures that entire data get converted without any change in its format, alignments, attachments, hyperlink, metadata. Convert Unlimited PST Files Into Notes: Almost all Outlook users are aware of the fact that Outlook PST has the size limitation. And increase of PST size more than its limit leads to the corruption in PST. Therefore, Outlook user follows the practice of splitting the PST and that creates multiple PSTs in machine. When user converts the data of Outlook to Notes format with the help of this tool then they would be able to add multiple PSTs in software and convert it in NSF format in single move. 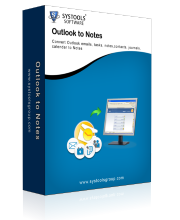 Support All Versions Of Outlook and Notes: this potential utility is supportive to all version of Outlook as well as Lotus Notes. 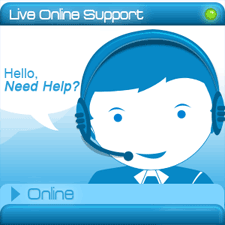 Therefore, users never feel restricted with version of Outlook because software support outlook 2010(32-bit), 2007, 2003 and etc. or Lotus Notes mailing application they are using while converting the data from PST file format to NSF file format. Convert All Type Of PST Into Notes Format: Generally the Outlook PST is of two types of PSTs, first that is ANSI and second is Unicode PST. When user use the software to convert data of Outlook to Notes they can easily both type PST files convert Outlook to Lotus Notes file format without any fear of data corruption. Users also convert orphan and configure PST file to lotus Notes format. After PST to NSF conversion process users will save converted data in new NSF file. Effective Filter options for Conversion: Software provides effective filters option to Export Outlook data to Lotus Notes. 1st is Email Filter 2nd is Calendar Filter and 3rd one is Task Filter to transfer Outlook to Notes. Selected Items Conversion Options: With the help of Outlook to Notes converter users convert selected folder like emails, contacts, calendar, task and etc. from PST file to NSF file format smoothly as per their requirement. 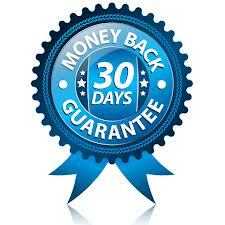 Before you move on to buy the full version of software we provide you its free trail. The trail version will give you clearer picture about its functioning and will allow you to convert and save 15 items of each folder of Outlook to Notes file format. After being assure of result you can buy the full version of utility by spending a small amount. The full version is available in three licenses Personal, Business and Enterprise. As per your requirement you can go with the license.